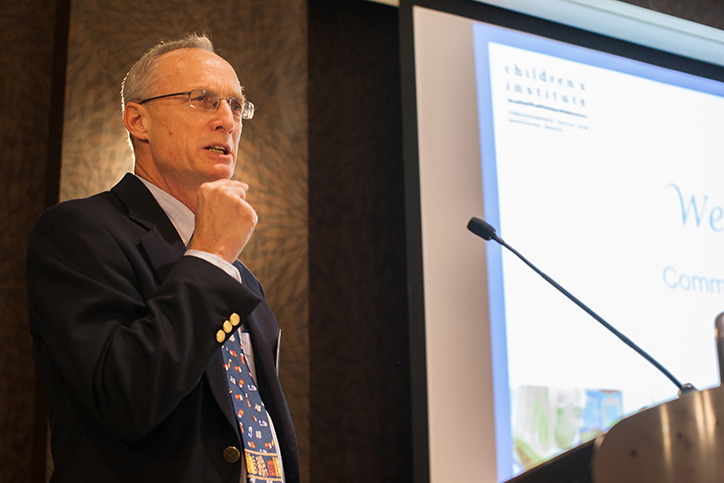 The community relies on Children’s Institute to put ideas into action. The mission of Children’s Institute is to equip and support those who work with children to ensure the success of every child. With programs and services that are grounded in research, we build bridges between theory and practice. We transform ideas into proven solutions and turn obstacles into opportunities for success for children and families. Children’s Institute partners with community agencies and schools to strengthen the social and emotional health of children in a variety of different ways. We assist with the implementation of evidence-based prevention and early intervention programs; provide a range of trainings, assessments, and services to support those who work with children; and conduct research and evaluation to continuously improve efforts that support children’s positive growth and development. Children’s Institute is known as a center of excellence for the social and emotional health of children. Our staff includes psychologists, an economist, a pediatrician, and a number of educators, researchers, social workers, business professionals, and experts in public policy. Many of our staff members are regular contributors at the annual conferences of the National Association of School Psychologists, Center for School Mental Health, and American Educational Research Association. Our researchers are published in peer-reviewed journals such as Pediatrics, Journal of Family Psychology, Ambulatory Pediatrics, Family Court Review, Developmental and Behavioral Pediatrics, and Early Education Quarterly.